The Cool Kids Club (CKC) summer-time program is intended to meet the needs of working parents and is available Monday - Friday from 6:30am - 6:00pm during the public school summer break. 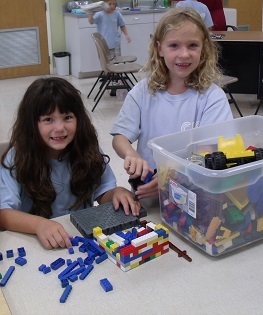 The children enrolled in the CKC Summer Camp program get to experience a variety of different activities throughout the summer including at least 3 fun and educational field trips per week. Examples of typical field trips include, bowling, skating, Brevard Museum, Universal Studios, Kennedy Space Center, Brevard Zoo and many more. Our summer camp program also includes a twice a week visit to the Cocoa Beach Country Club Pool for swimming. 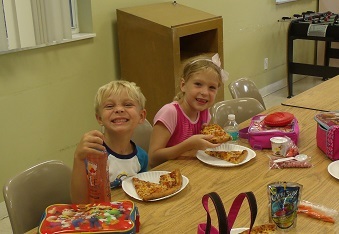 There are also many activities for the children when they are here at the Faith Lutheran School campus including cookouts, pizza parties, ice cream parties, art and crafts, free play, outside play, computer activity time, and of course quiet time to rest and relax from the busy day.